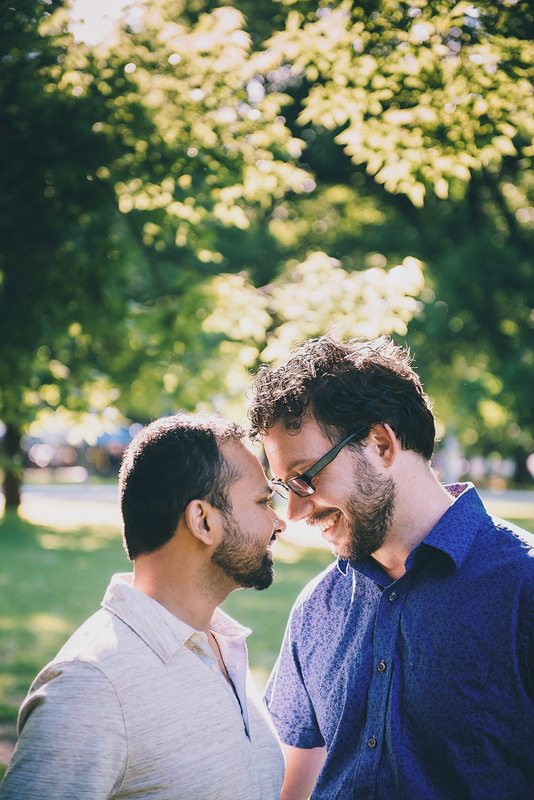 Engagement sessions can be a sensitive and nerve wracking subject for some couples, and fairly so. Maybe it’s the first time you’ve been professionally photographed. Maybe you’re not a fan of public displays of affection, and then you throw being photographed on top of that, most likely by someone you’ve only met once or twice at most. As uncomfortable as it can feel it’s important to remember that committing to an engagement session is the best way to overcome those nerves and form a relationship with your photographer. Within that hour or two, you’ll learn how to take direction, how to let your guard down, while your photographer will learn how to pose you to capture your best angles and become familiar with your comfort levels. If the thought of being the center of attention is going to prohibit you from being comfortable enough to enjoy the session (because you absolutely should! ), then putting some serious consideration into the location and styling can help to pull away some of that attention. Whether it’s a lavender field during golden hour or a sunset session on the beach, both provide colours and interest that not only add to the story of the session but draws the focus to something other than the kiss that might be happening, while a bouquet of blooms or a flowy dress are sweet, simple distractions that give your hands something to do. If the decision to have an engagement session hinders on comfort level, stick to your roots and do what feels right, even if that means staying in the comfort of your own backyard. Lifestyle engagement sessions are a lovely way to celebrate who you are as a couple and what you have created together, while capturing what life looks like during this season of your life. To have such a personal story of your journey together is a really special thing and more couples are opting to stay home on a Sunday morning to play board games and drink coffee in their living rooms, or share a glass of wine together in the garden, than go for the more classic version of an engagement session. If you can get over the awkward feelings and bring the love you have for one another to the forefront, having these images will help to tell your love story for years to come.